Queen duvet cover (88" x 88") featuring the image "Canis Lupus V The Grey Wolf Of The Americas - The Recovery " by Steven Paul Carlson. Our soft microfiber duvet covers are hand sewn and include a hidden zipper for easy washing and assembly. Your selected image is printed on the top surface with a soft white surface underneath. All duvet covers are machine washable with cold water and a mild detergent. Incredible! Congrats on your sale of this beautiful piece! Congratulations! 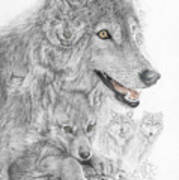 This piece is being featured on the Home Page of the Wolves Group! Your work is amazing! The fine detail as well as the subliminal effects are stunning! Incredable art work, my favorite. Very nice! I love your drawing. Canis Lupus V The Grey Wolf of the Americas - The Recovery - A Legendary Hidden Creation series - Historically, few animals have been as misunderstood as the wolf and, as a result, it has been brought dangerously close to extinction. 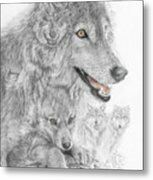 Because of the champion efforts of naturalists, wild life advocates, and the support and financial giving of wolf lovers, the tide is turning; the protection and recovery of the grey wolf population in America is proving to be very successful. I am proud that my home state of Minnesota has taken such a strong leadership role in these efforts! 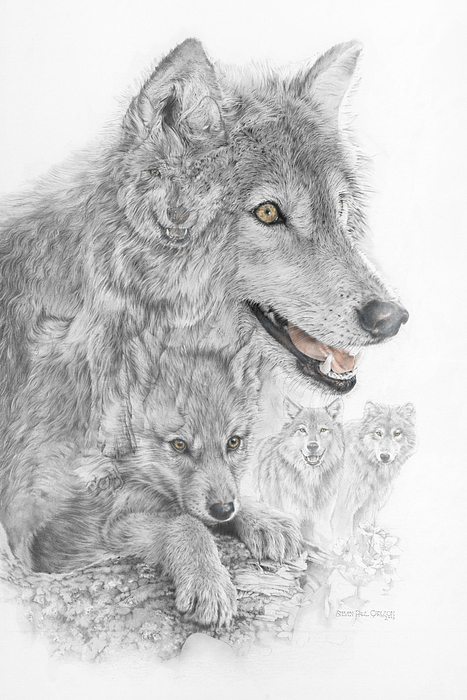 Canis Lupus V is the new addition to the Hidden Creations Wolf series and is a celebration of the efforts of so many who have given so much of themselves to help in the recovery of the American grey wolf.